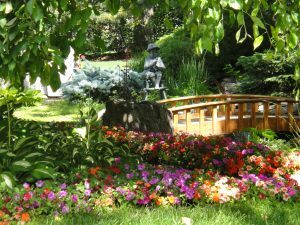 A Perfect Landscape is, first and foremost, a landscaping design company, with the goal of bringing your custom landscape design vision to life. Each of our certified landscape designers are equipped to provide guidance and inspirational landscaping design ideas for your Denver home or commercial business. Our landscaping contractors provide superior service every step of the way—from initial landscape design through full landscape installation. We can transform your current commercial lawn or backyard landscaping into a stunning outdoor oasis. As a certified landscape design company, each professional landscape designer can develop multi-functional spaces for your backyard where families and friends can spend quality time in a pleasant environment. We can also provide innovative commercial landscaping designs that help you keep lawn care maintenance costs to a minimum. We make sure that each of our Denver landscape design customers are happy with our work, and we take pride in ensuring 100% satisfaction of our clients. 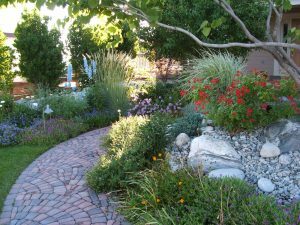 Our company thrives on our commitment to providing great landscape designs for the Denver community. Our clients have made us successful with positive feedback and referrals, and we want to continue to make Denver beautiful by creating commercial and residential landscaping design for years to come. A Perfect Landscape’s Denver landscaping design services specialize in modern landscape designs with an emphasis on energy efficiency, minimal water usage, sustainable and low-maintenance residential and commercial landscaping designs for our valued Colorado customers. While designing a multi-functional usable garden in a small space takes some ingenuity, water shortages in Colorado landscape design burdens the Denver residents and commercial business owners with the responsibility of being water-wise in their landscaping design projects. We also perform landscaping renovations all year long, minimizing the use of valuable resources by reducing the amount of water needed in a renovation during the warm spring and summer months. For more information on landscaping through all four seasons, click here for our free eBook. 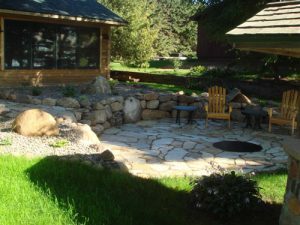 Our Colorado landscape design company, takes great pride in providing affordable, yet customized commercial and home landscaping design plans with a commitment to eco-friendly landscaping services. Call our office today at (720) 851-3034 to schedule an appointment and make your Denver landscaping design dreams a reality!